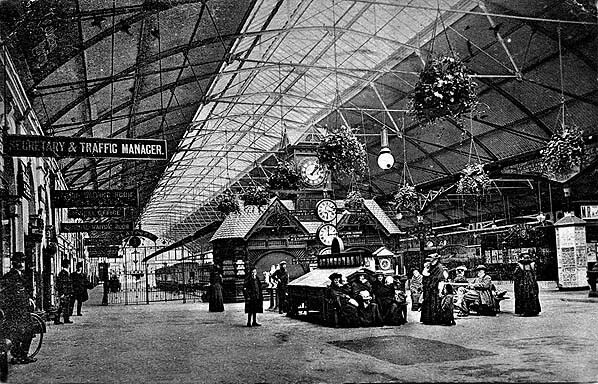 Built by the Belfast & Ballymena Railway to a design by Sir Charles Lanyon, York Road station opened in 1848. The cast iron roof over the plaforms designed and constructed by Robert Mallet. The Belfast and Ballymena Railway opened in 1848 from Belfast to Ballymena, Randalstown and Carrickfergus. It changed its name to the Belfast and Northern Counties Railway in 1860. 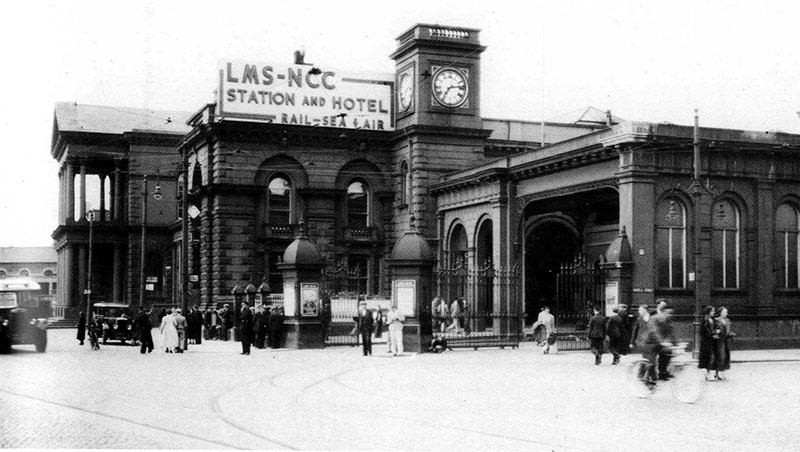 In 1903, it was taken over by the Midland Railway of England, later part of the LMS. 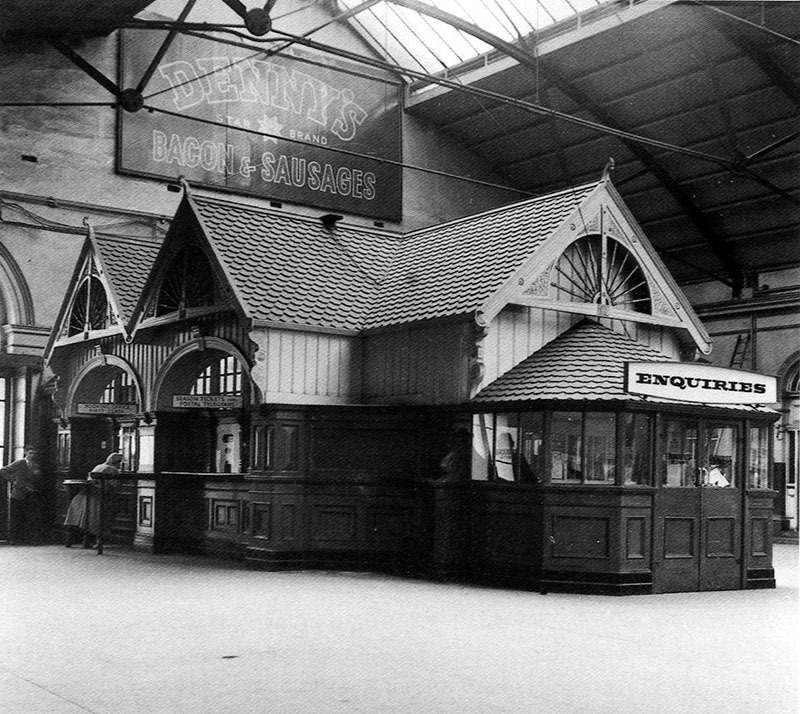 Under the BNCR, it was remodelled internally by Berkeley Deane Wise who added wooden chalet inspired kiosks for tickets and stalls. 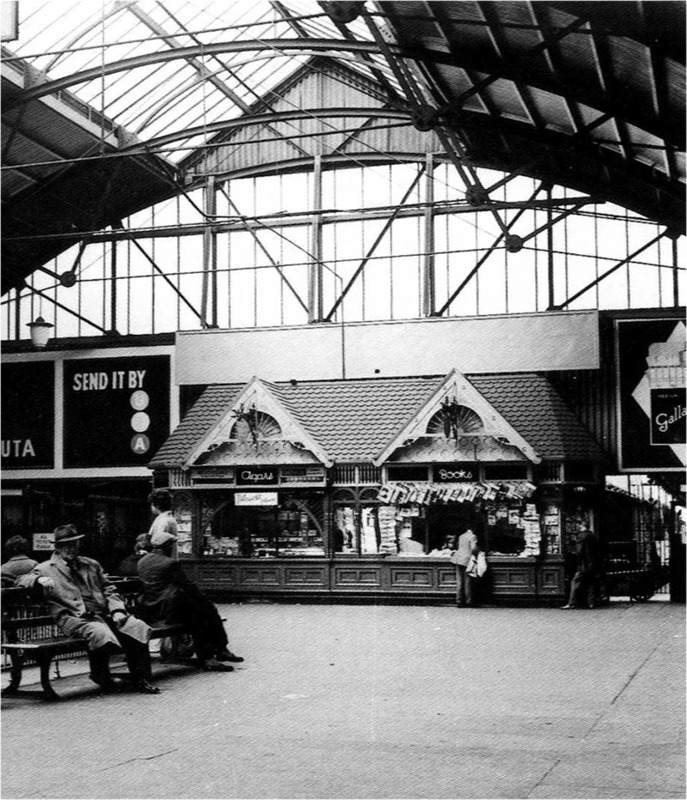 The building was very badly damaged in the 1941 Blitz – the two large over-all semi-circular glass roofs which covered the platforms at the concourse end were destroyed. The damage was so severe that, in 1944, town planners proposed that the entire station should be moved several blocks to the south, but this proposal was never implemented. In 1968, its then owner Northern Ireland Railways drew up ambitious plans for a brand new station and office block at York Road, in a style similar to that employed for London’s Euston station, which was remodelled between 1963 and 1968. This also did not proceed. The station suffered further bomb damage in the 1970s – notably July 21, 1972 when a bomb packed into a suitcase exploded on the concourse. Closed in 1975. Demolished shortly after. The former Midland Hotel adjacent still stands, but boarded up and derelict.